Super Eagles head coach, Gernot Rohr has said he has no regret over the team’s performance at the 2018 World Cup despite failing to make it out of the group stages. The German-born coach said rather his sights are on leading the Eagles Nigeria to Afcon glory in 2019. 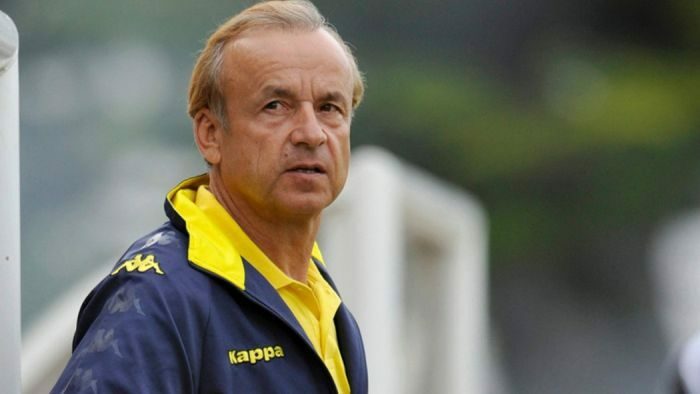 Rohr was recently linked with the Algeria job, but he said he never thought of quitting the Eagles as he believes the team can still do well in subsequent competitions, Vanguard writes. The future of the 65-year-old however remains uncertain given the leadership tussle at theNigeria Football Federation.